After over 34 years of Estate Planning experience, Matt was able to put together a team of Estate Planning professionals to make your experience at Dana Whiting Law truly unique and special. With degrees, (Undergraduate, Graduate, and Law) from institutions such as New York University, Stanford, Seton Hall, and Arizona State University, Dana Whiting Law lawyers have the knowledge, skills, and expertise necessary to help individuals, families, and advisors achieve their estate planning goals. You will receive a high-quality Estate Plan at affordable fees. You have spent a lifetime accumulating your assets and your estate. Shouldn’t you now choose a law firm and a lawyer that has spent a lifetime developing the best Estate Planning practice in Arizona? Matt doesn’t “practice” Estate Planning. Matt “has experienced” Estate Planning. At Dana Law Firm, the focus was on growth and opening more and more cities to Estate Planning. Instead, Dana Whiting Law Firm will only have a few offices. 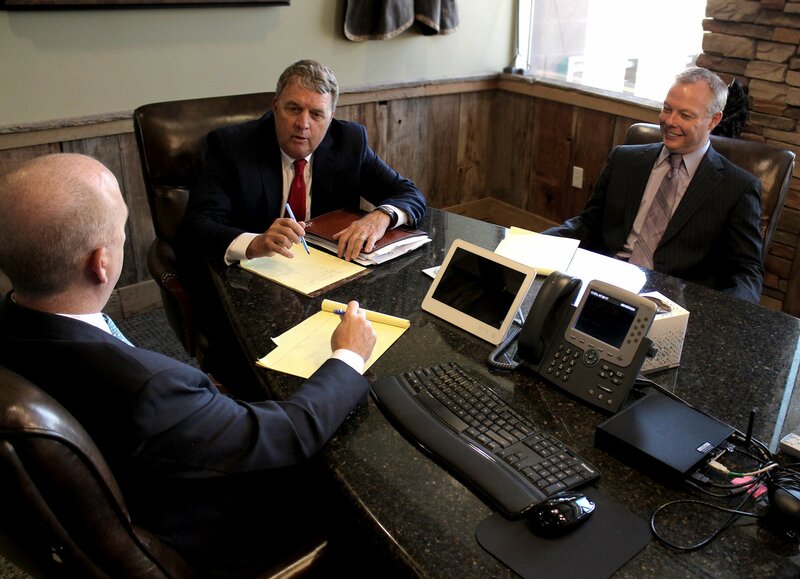 Instead of the focus being on the volume of clients, the focus will be solely on the quality experiences of each client with Dana Whiting Law. Instead of measuring success by the number of lawyers employed, success will be measured by the quality and experience of the lawyers employed. Instead of trying to be the biggest Estate Planning practice the focus will be solely on becoming the elite Estate Planning practice. Estate Planning is shaped and molded by life experiences. “I practice Estate Planning much differently today than I practiced 30 years ago,” said Matt. Matt is 61 years old, married to his wife Nancy for almost 40 years. They have 5 grown children. They have experienced in-laws, grandchildren, successes, and failures in investing and heartache and pain in trying to raise their family. They have lost loved ones. They have seen estate taxes repealed, reinstated and then promised to be repealed again. Plus, Matt understands the hard work, the sleepless nights and the ups and downs in building a business. “There is no doubt in my mind that I am a much better Estate Planning lawyer today than I was 30 years ago,” said Matt.